The Mandelbrot set rendering can be improved by using a normalized recount associated with a power normalized colormap (gamma=0.3). Rendering can be further enhanced thanks to shading. The maxiter gives the precision of the computation. maxiter=200 should take a few seconds on most modern laptops. 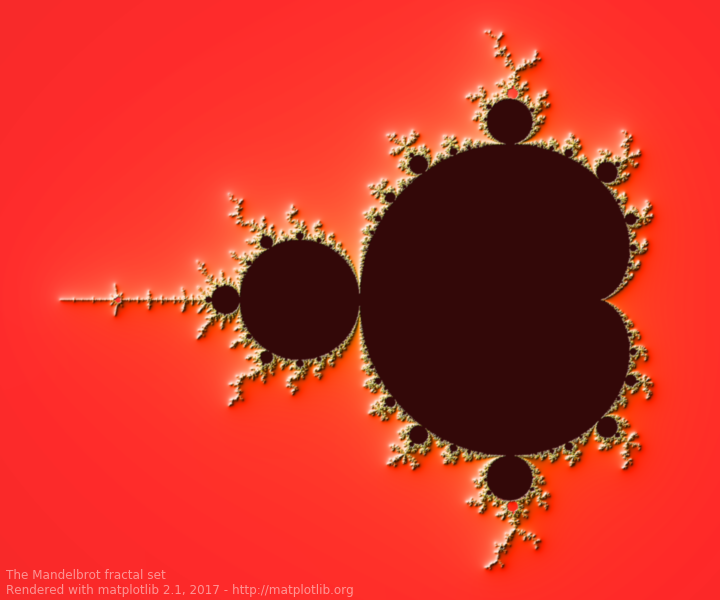 text = ("The Mandelbrot fractal set\n"
"Rendered with matplotlib %s.%s, %s - http://matplotlib.org"